So I lied. I'm not announcing the winner today. I am saving that for Wednesday. Truth be told I just haven't done it yet. So I decided that Wednesday will be the day. Until then are the answers to some more questions. Well I changed majors seven times in college. What can I say? I like to keep things interesting. I eventually landed on a major in Mass Communication. Well one reason I choose my major is because I was running out of time. If I wanted to graduate I needed to choose something quick. I also enjoyed public speaking at that time and I did alot of that in my major. However I haven't spoke in front of a crowd in several years and I seem to have grown more shy through the years. If that is at all possible. So I don't think I am much of a public speaker anymore It was a great decision and I am pleased with my major. No regrets (well I did last year for about 6 months but I'm good with it again). I went to a small college in Oklahoma. Not OU. Not OSU. Something right in the middle. I first started reading blogs in 2007. My friend Faith was pregnant and created a blog for friends and family to keep up with her pregnancy. Through her blog I was introduced to the Steece Quads blog and I was hooked. I then found Kelly's Korner and through that found several others. I decided to go ahead and make my own, but didn't really get into blogging until after we got married in 2008. Did you have a hard time thinking of what to write when you first started blogging? Well if you look through my archives when I first started writing I didn't blog consistently, it would just be here and there, so no I didn't have a hard time coming up with something I just did it when I felt like it. I have always been a writer. I'm not claiming I'm a good writer because I know I'm not when it comes to technicalities, but I do enjoy writing and even before I had a blog I was always formulating stories in my head. If something funny happened, I would "write about it" in my head. Blogging just gave me an outlet to write those stories. Other people reading them is just a perk, however I'm fairly certain I would still write them out if nobody else read. What do you like most about blogging? What do you dislike most? The thing I like most is the relationships I have made. To people outside of this "world" it sounds crazy, but to all of us we understand. I love that I literally have friends all across this country. I love that I can write something that is bothering me and several people will let me know that they completely relate to me. I love that I have an outlet to share my faith, tell silly stories, and keep a journal of the going on's in my life. I dislike the fact that I told so many people in my real life about my blog at first. I love my family reading it, but when I first started I had a link on my facebook and told many people. So I'm not sure how many people in my "real life" read the blog but just don't tell me. Kinda weird. How do you have so many blog friends? I have SO many favorite blogs out there. I am currently working on my list of links to go on right sidebar of my blog. I love all the blogs I read for many different reasons. Many of them have become good friends that I want to check in with everyday. Some of them are blogs that I enjoy reading for fashion or decorating purposes, and some of them are blogs that just bring me a good laugh. As soon as I get my link list up I will let you all know so you can read all of my favorite blogs. Where did you come up with the name Tale's of the Tree's? When I first started blogging I was just a single girl with a boring last name. 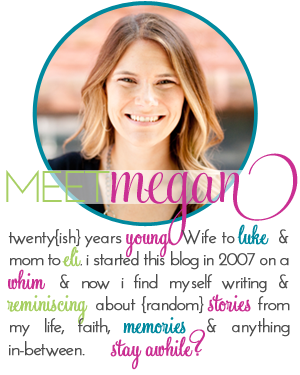 My blog name was : The Life and Times of Megan. Then I got engaged to a really cute boy whose last name had the word Tree in it. I was SO excited to be getting a new last name that had much more potential to make something fun of than my maiden name. Then my blog name was "Soon to be a Tree". Then after we got married I played around with a couple of blog names (just in my head nothing official) and eventually decided on Tales of the Tree's and it stuck. I briefly considered changing my blog name a couple of months ago but decided to keep it. It's funny because now even in real life I refer to us simply as The Tree's (as opposed to our full last name) I had a real life friend tell me the other day that she sometimes forgets that my last name isn't just Tree. It made me laugh. I'm sure when we get preggo (not preggo right now) that the baby will have to be Baby Tree. It's only appropriate. Confession time: During Christmas I "accidentally" took a week and half break from jogging. Who in their right mind would have known that a week and a half would have set me back so much?? I have still been doing the Couch to 5K every other day but I am not as far along as I should be. So right now my goal is to just get through it and then we will see. I have big ideas in my head of doing a half marathon, but only time will tell. Which Couch to 5K Program are you using? I am using a Couch to 5K application on my iPhone which I HIGHLY suggest to anyone who has a phone capable of getting this app. It is a brown app and says 5K on it. What is the song you are most excited to have come on when you are running? Have you ever been on a mission trip? If not is there somewhere you would love to go one day. I went on a mission trip the summer between my freshman and sophomore year of college with my high school youth group. It was a very rewarding time and I learned a lot during that trip. I have grown a lot since that time and my heart has grown even more broken for the lost and hurting. I would love to go on another trip soon with Luke. It is something we would like to do together before we have a baby. You mentioned Luke leads worship at your church, is there a particular ministry you are involved in at church as well? Luke works at our church as the worship pastor. I would love nothing more than to be able to stand on stage and sing with Luke. When I was younger I had visions of being involved in a worship band and traveling around leading worship. One problem. I can't hold a note to save my life. It's bad. Real bad. And it's not a secret, everybody around me knows that I do not have a good voice. So all of that to say, there is not one particular area of ministry that I am involved in For four years I led a bible study for girls and now Luke and I lead a study together for couples. I am also involved in the kid's ministry. I really have a heart for young women and hope to use that fully one day in whatever way that means. You're a great writer. Seriously, Ms. Walker would have loved you. And I'm stoked to see you this weekend. Hey girl! It's Julia...just wanted to let you know (since you could or could not be over Twitter and might not have read my Tweet) that I had to start a new blog. Had to make it a lil more private. I have a degree in Communication. It is a little different from Mass Comm, but some similarities! I remember the day I found your blog... I've been a loyal reader ever since. Very fun Q& A's!! I've been a bad bf.. I always read, just haven't commented much lately! HAHA! I love it!! This must be hitting all blogs this week. That, or we are struggling for bloggy material! :) Loved reading your answers, girl. When I read "TwilightPosse" up in your post I may or may not have screamed out loud. Not really a scream but definitely close to a "woo hoo" moment. I'm not proud, but it happens. I feel like a contestant on the bachelor. "OMG JAKE WOO WOO WOO" hahahaha. Love the shout out to the Twilight Posse. As Sarah did I also got excited when I saw it! I love reading more about you! :-) And I think you're a great writer - to heck with grammar rules is what I always say! Love Phil. 4:6-7, I think it's that verse that I always go back to when times are tough! Love reading your Q&A...so fun! People that read your blog and don't tell you is SO WEIRD to me or when they mention something that I wrote but didn't tell them...um...awkward! I love to run to those songs too!!! 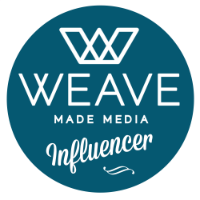 If you have the time to email me or comment back, could you tell me about BlogHer. I see that you're a part of that. I'm wondering what it really is. A couple of other girls and I were talking about it on Twitter yesterday, and were like we'd join if we could actually figure it out. Sorry, if that's kinda a dumb question. I am the same way! I so badly want to be able to sing and be on stage but I can't sing a note! I remember finding your blog back when you were "soon to be a Tree"! I'm so glad we're blog friends =) And, I love the name "Tales of the Trees"! I love all of your answers Mrs. Tree =) And I especially LOVE that verse out of The Message. Posted it on my blog sometime back ~~ LOVE IT!!! Have I told you yet that I like your new layout? because I LOVE IT! I can totally relate about regretting about telling people in your real-life about your blog! I often do too! Sometimes I just want to write and not have to worry about who's reading or hurting peoples feelings. I've even thought about starting a new blog that's anonymous! Also, sometimes family members and friends offer some really good material! love the bible verse! I need to hang it on my wall...Thanks for answering all of our questions! Hey, I have enjoyed reading your blog, glad I discovered it! I started a blog myself, but I totally haven't told a single person I actually know. Is that weird? I'm kind of scared of people I see in day to day life reading it! HA HA!